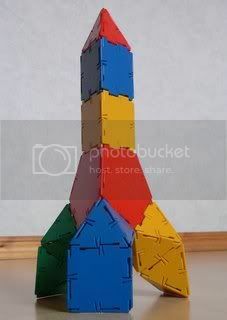 My 4 year old son asked me to create a rocket polyhedron. I though I would share it with you. Topic: Do you ever make polyhedra for other people?